We are taking 2019 bookings now for this car! Hello and welcome to Imperial Glasgow Wedding Cars! There are so many things to plan ahead for your special day and booking a wedding car is one of them. Whether you are looking for something classical, modern or vintage, our fleet of wedding cars in Glasgow have all sorts of vehicles you can choose from. Rest assured our professional services can make your big day even more special! From the vintage Ivory Beauford to the modern Baby Bentley Limousine, our collection is sure to bring out the ‘WOWS’ among your guests. This is also a perfect way for you to surprise your soon to be spouse as they will never expect such a beautiful and amazing way for you two to ride off into the sunset to start your lives together. With over a decade of experience working in the business of wedding cars in Glasgow, East Kilbride, Paisley, Barrhead, Renfrewshire and the surrounding regions, we are always striving to provide topnotch quality and professional services. 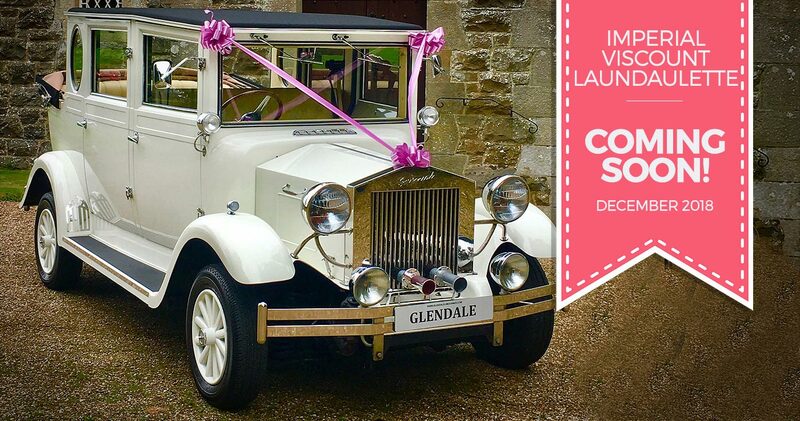 This beautiful 4 door long bodied version of the 1930s vintage style Beauford and is perfect for both summer and winter weddings. 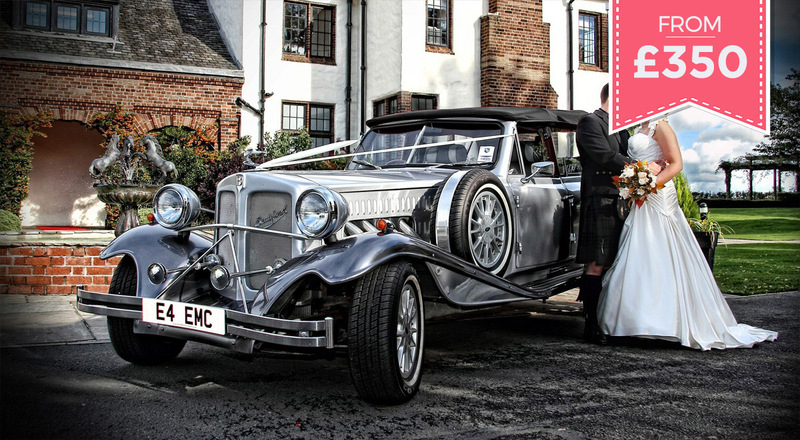 This stunning wedding car is finished in old English white with a black convertible hood and will look amazing in those treasured wedding photographs. Our 1930’s style open top Silver Beauford Tourer. 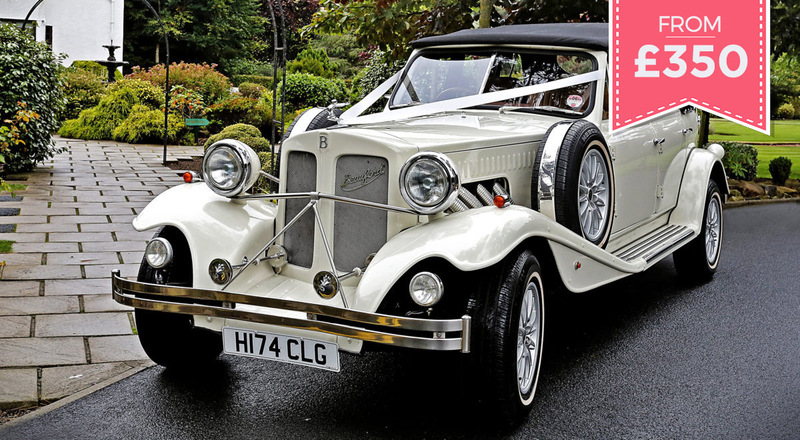 Like our Ivory Beauford this two tone Silver Beauford is the longer bodied version which has extra leg room in the back for the bride with much easier access than the standard 4 doors. Perfect for your wedding day with the hood up or down. 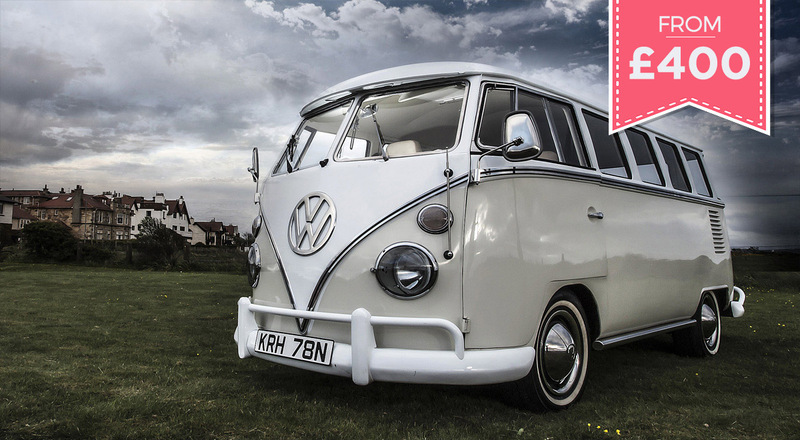 The Volkswagen Campervan is a fashionable choice for brides looking for something both quirky and cool. Our bespoke VW spliscreen campervan was imported from Brazil in 2015 and has been completely refurbished. In two tone ivory and white paint work she is simply gorgeous. The Chrysler 300 (Baby Bentley) is both stylish and modern and comes with beautiful light grey leather interior. 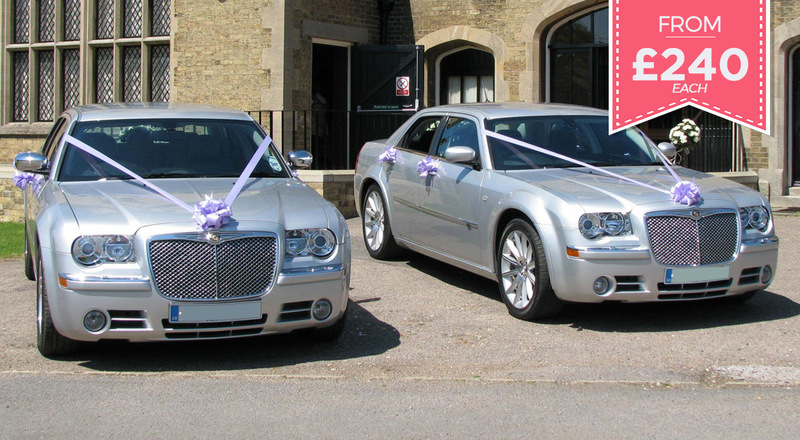 The Chrysler 300 and can be used to complement one of our bridal cars or as a stand-alone wedding car. Please ask if you would like to book a matching pair. 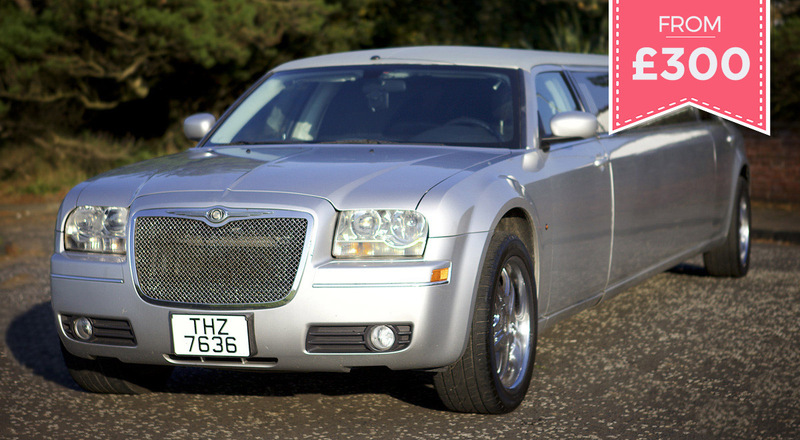 The Chrysler 300 (Baby Bentley) limo brings it’s own WOW Factor and is guaranteed to make your special day a perfect day perfect. Seating 8 passengers, the Silver Chrysler Limo is often the solution for larger bridal parties whilst adding a touch of class. The Imperial Viscount is the very latest model of the popular Imperial wedding car. 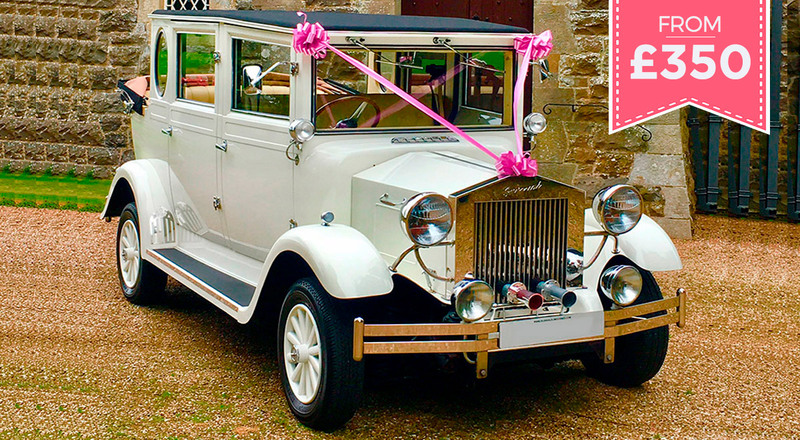 We are taking bookings for this stunning 6 passenger 1930’s style vehicle NOW! 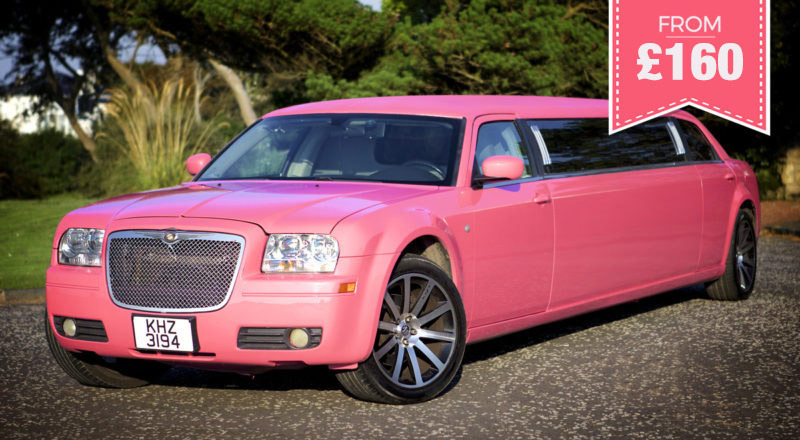 Here at Glasgow Wedding Cars we have the stunning Chrysler pink limousine to make sure you arrive in style in Glasgow and Ayrshire. A deluxe stretch limousine with a lavish interior and spacious seating up to 8 passengers to accommodate larger bridal parties. 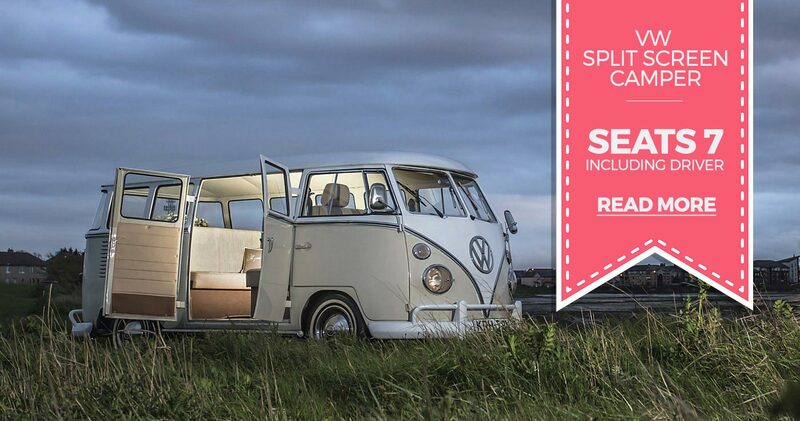 Our VW Splitscreen Camper has been fully restored to all of its former glory. If you are looking for a quirky wedding car and something a little different, you have found it. We have recently ordered a Brand New Imperial Viscount Laundaulette direct from the supplier. This wedding will be in our fleet late 2018 and we are taking bookings throughout Glasgow, East Kilbride, Paisley & Renfrewshire now! At Glasgow Wedding Cars, we understand how special and important this day is for you. You are about to start your life anew with someone you truly love and you wish for this day to be perfect in every way possible. We know this feeling and can guarantee that we will make your day even more special than it already is. We keep our cars in excellent condition, both interior and exterior to perfectly complement your wedding day. Our professional chauffeurs are dressed elegantly and have been trained to perform their duties perfectly. We are dedicated to make your day fun and enjoyable! Unlike other wedding car services that boast low wedding cars prices at first but hand you a humungous bill at the end, we let you know everything from the start. We invite you to visit us and have a look at our wonderful collection of wedding cars in Glasgow. This is the best way you will be able to choose the perfect car for your wedding day and will also allow us to understand your needs, driving us in the direction to serve you in the best manner possible. So give us a call and let’s get started!